In this era of specialized, advanced training, it may be a surprising concept to consider training the body using Full Body Workouts. Most people who begin a weight training program today immediately start off by splitting up the body into separate body parts in order to work each muscle group thoroughly and extensively. However, this is not necessarily the only way to train. Back in the 1950’s and ’60’s, full body workouts were the normal way to train. Bodybuilders and other fitness enthusiasts would train every major muscle group in a single training session. This is how everyone else did it in the era before specialized training by singling out individual muscle groups was born. Even the superstar bodybuilders from that time period trained in this fashion. 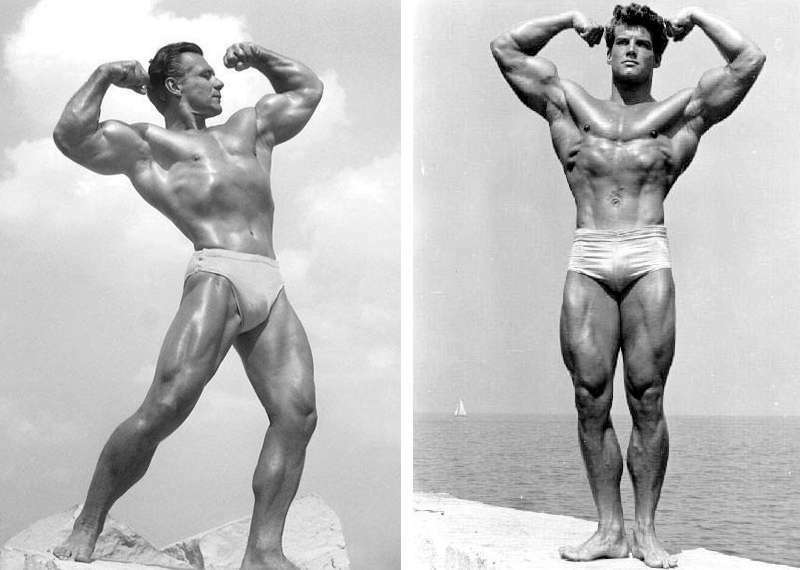 Legends such as John Grimek (1940-41 Mr. America) and Steve Reeves normally trained the whole body during their workouts. These outstanding bodybuilders were the best of their generation and developed their impressive physiques with full body workouts. 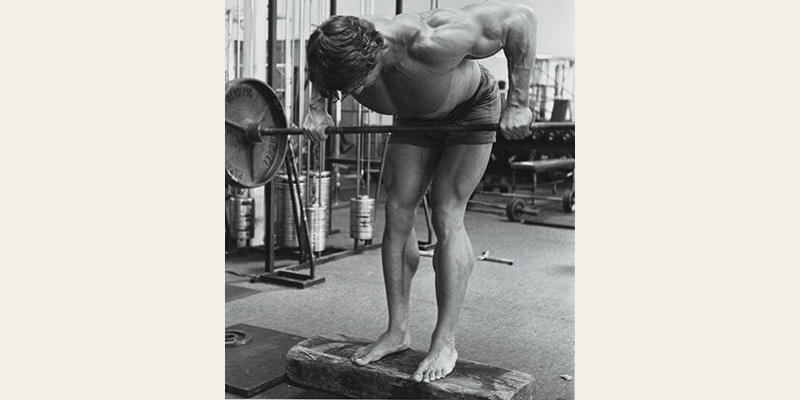 In the late 1960’s and early 1970’s, bodybuilders began expanding their workouts by employing the “split routine”. This involved splitting up their training by only working a certain number of muscle groups in one workout and then training other muscle groups in a separate workout. Joe Weider, the publisher of Muscle Builder/Power Magazine and one of the most influential individuals in the sport of bodybuilding, promoted this split method of training in his magazine, boasting that his Weider Superstars were “Bombing and Blitzing their way to Bodybuilding Glory”. Today, most people who begin a weight training program are instructed by their trainers or read on the internet that the proper way to train is to begin with a split routine. It can be argued that the split routine is a more advanced method of training, one to be followed after a year or more of following a beginner or intermediate full body training program. When an individual has never weight trained before, their muscles are not accustomed to the stress of resistance training. As a result, it doesn’t take a lot of work to get the muscles to respond. Even a small amount of training will shock the complacent muscles into growing. When you train a muscle, the overall volume of work is computed by taking the total amount of sets and multiplying that number by the total number of reps performed. The more exercises you perform for each muscle group, the higher the volume will be because you will be performing more total sets. When using a full body workout routine, you will be limiting the number of exercises per muscle group to one or two at the most. This is necessary because you will not be able to do several exercises for each muscle group when training the whole body. If you did, you would end up performing as many as 50 sets in one workout. In addition, the amount of work it would take to train every muscle group using 3-4 exercises would be so exhausting, you would probably never want to repeat that workout again. A full body workout is ideal for a beginner because their muscles are not accustomed to doing much work. Even one exercise performed for a minimum number of sets will make the muscles grow. By limiting the number of sets for each body part, you will be able to train the full body in one workout without exhausting yourself by doing too many sets. A full body workout is also beneficial to include every once in a while as part of a more advanced program, it’s a welcomed change for an intermediate or advanced trainee, since it gives the body a different set of challenges that it needs to work through. It can both help force the adaptation of previously ignored support muscles, as well as increase overall endurance through adaptive stress. When choosing the exercises to do for a full body workout routine, you should pick a basic, compound movement to train each muscle group. Because you are only doing one exercise for each body part, you want to make sure that it is a compound exercise that will train the muscle effectively and also involve as many other muscle groups as possible. 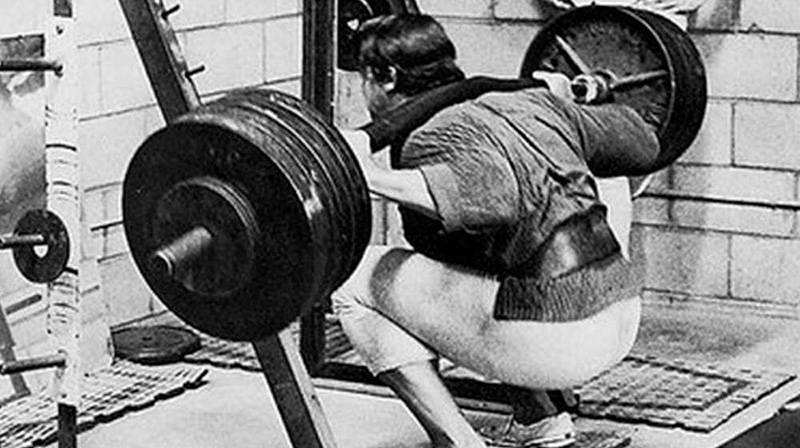 Choosing an isolation exercise as your one exercise for a body part would be not nearly as productive. Another rule to follow when designing a full body workout routine is to train the bigger muscle groups first in the training session and work your way down to the smaller muscle groups. This makes sense because you will have the most energy at the beginning of the workout so you want to train the bigger muscle groups first and then work the smaller muscles after you have expended most of your energy on the larger muscle groups. Let’s look at an example of how you can construct a Full Body Training Routine. You will be training the legs, chest, back, shoulders, triceps, biceps, calves and abs all in one training session. Most body parts will only utilize one exercise and you will do 3 total sets for each exercise. This full body workout is perfect for the beginner who is introducing their body to the rigors of weight training. By training the whole body in one workout, they will also build more endurance by having a higher total volume. In addition, by using primarily compound movements, they will build more strength and coordination amongst the muscle groups. There is no better way to get the muscles to develop strength and size than by using progressively heavier weights on the basic exercises. A beginner should use a weight that they can comfortably handle for 3 sets of 10 reps on each exercise. Each week, the weight on each exercise should be gradually increased to build up the strength and development of the muscles. At the beginning stage, it’s possible to get stronger every week. Make small increases in the resistance to keep the exercise form correct and also feel the muscles working during each movement. The Full Body Workout Program can also be used by advanced trainers who are looking for a different method of training to shock the body into growing again. Instead of doing more for each workout, many individuals begin growing again when they cut back on the amount of training they are doing instead of increasing it. Those who are currently overtrained by doing too many sets and training too many days in a row can really shock their bodies into growing when they train the whole body in one full workout and rest more days per week. An advanced trainer will be using much heavier resistance than a beginner will and this increased workload adds up to more stress on the central nervous system. As a result, an advanced trainer may need 2 full days of rest before they can do the next full body workout. A beginner should be able to easily handle three days a week of training because the resistance will be much lighter. This is not the case with an advanced trainer. *Increase your weights each set. Because an advanced trainer is using more resistance on the exercises they perform, it’s necessary to do a couple of warm-up sets for each exercise before using the working weight they need to make the muscles grow. This is important to prevent any injuries to the connective tissues and get the blood into the muscles before using the heavy weights for the three working sets. If you are looking for a different method of training, give the Full Body Workout a try! Let us know your thoughts and whether you’ve trained using a Full Body Workout before in the comment box below.